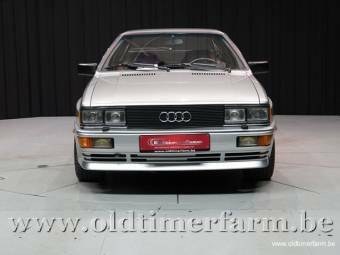 In 1980 Audi AG stunned the world of motoring when it introduced its latest model, the Audi quattro, at the 1980 Geneva Motor Show. Audi AG was already well known to car enthusiasts as a builder of innovative models and the new quattro lived up to expectations. 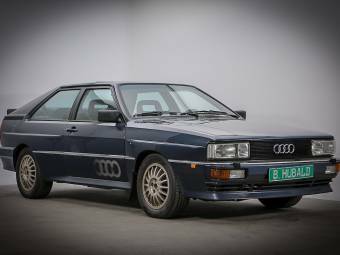 It was equipped with a permanent four-wheel drive system, hence the name quattro, coupled with a turbocharged engine; this gave it the distinction of being the first high performance car to have such features in one package. Audi AG evolved from the merger of Auto Union and NSU in 1969. The name of Auto Union is something of a legend among motor racing fans, the company’s cars winning 25 Grand Prix races in the pre-second world war years in the hands of drivers such as Tazio Nuvolari and Hans Stuck. NSU was also a name linked with innovation, probably the most notable instance of which was the NSU Ro 80 rotary engine, luxury sports model. 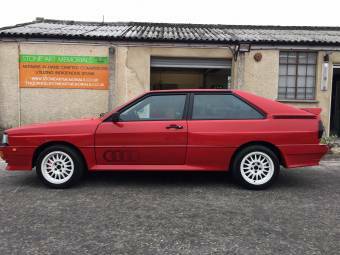 The Audi quattro enjoyed similar sporting success as did its illustrious forbears, not, however, in grand prix racing but in the field of international rallying. In the car’s first rally, the Monte Carlo Rally of 1981, top Finnish driver Hannu Mikkola and his co-driver, Frenchwoman Michèle Mouton, took first place, helped no doubt by the Audi quattro’s four-wheel drive handling. Michèle Mouton went on to become the first woman to win a World Championship rally, the 1981 San Remo, driving, of course, an Audi quattro. Those with chauvinistic tendencies claimed at the time that she could only have won because of the advantage the Audi quattro’s four-wheel drive gave over the competition’s two wheel drive cars. Another “first” for the Audi quattro range was the introduction of the Sport quattro in 1983. This car had the distinction of being the most powerful car ever released by a German manufacturer for use on public roads. It was conceived as a homologation special so that Audi could compete in the World Rally Championship. 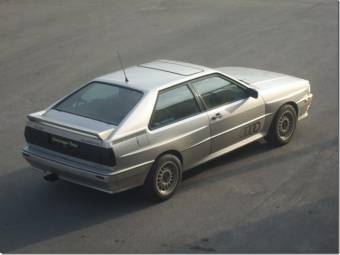 The Sport was revamped in 1985 sporting another Audi “first”, a five-cylinder power unit. This new engine allowed the car to accelerate from 0 to 62 miles per hour in an astonishing 3.1 seconds. 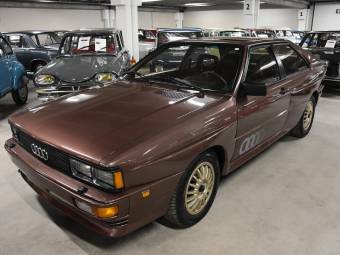 Only two hundred and twenty-four of this version of the Audi quattro were built, making this car a very rare beast indeed. 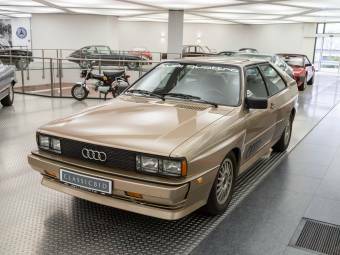 Sadly, for enthusiasts of fast, reliable, sporty cars, the last of the original Audi quattros rolled off the production line in 1991. 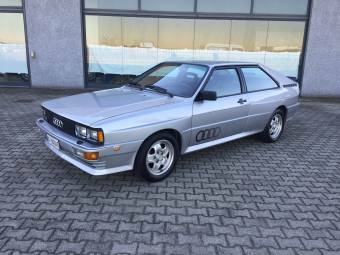 The quattro’s spirit lives on, however, as the famous “quattro” four-wheel drive system, developed for the first Audi quattro in the 1980s, is now available as an optional extra throughout the Audi model range. Not only that, but Audi has produced a concept car version of the quattro which, fingers crossed, might well become a production model.